Maler (1694-1757). 19 autograph letters signed. Wien, St. Pölten u. a. Zusammen 37 SS. auf 38 Bll. (Gr.-)4to. Mit einer Beilage (s. u.). To the Abbott of the Premonstratensians in Hradisko near Olomouc (Moravia). These unpublished letters, hitherto unknown to scholarship, represent a substantial part of Gran's correspondence with the Hradisch Abbey. They offer a detailed and intimate perspective on the creative process of this famed artist, who, together with Paul Troger and Franz Anton Maulbertsch, is regarded as one of the best-known painters of the later Austrian Baroque period. The letters are valuable sources for the dating of Gran's works at the Hradisko Monastery itself (frescoes and oil paintings); they also provide ample information about the circumstances of their composition. Lost works such as a cycle of paintings from 1747 are also mentioned. Finally, the letters offer a unique perspective on Gran's everyday life, including the illnesses from which he suffered and collaborations with fellow artists. The recipient, although never explicitly named, is Abbott Norbert II. 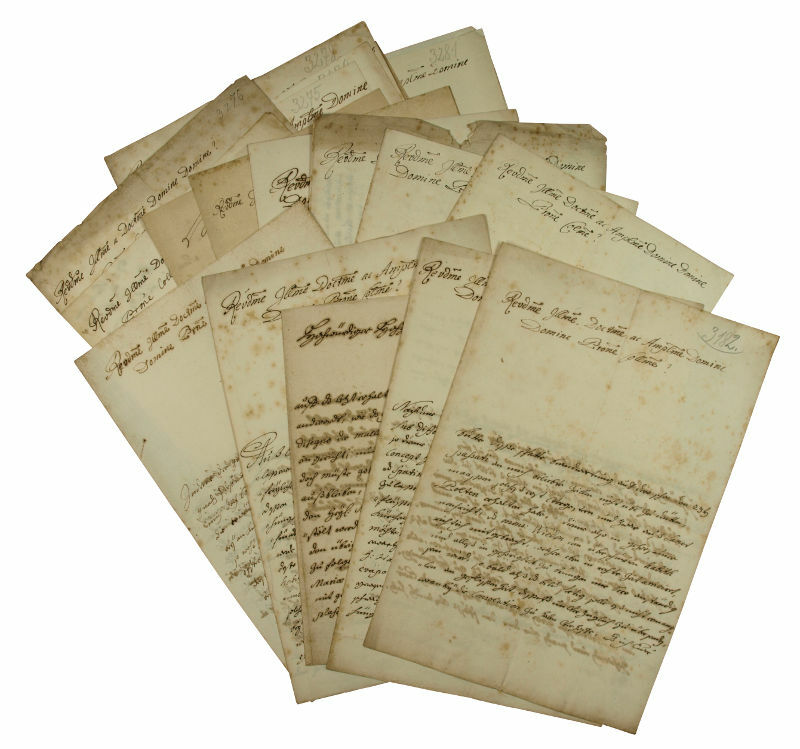 Also enclosed is an additional letter to the Abbott from the painter Christian Hilfgott Brandt (1693-1756), dated and signed Vienna, 25 March 1754. - Margins with occasional tears and light creases, still an extremely well-preserved collection of correspondence. Manuscript material by Gran is extremely rare..